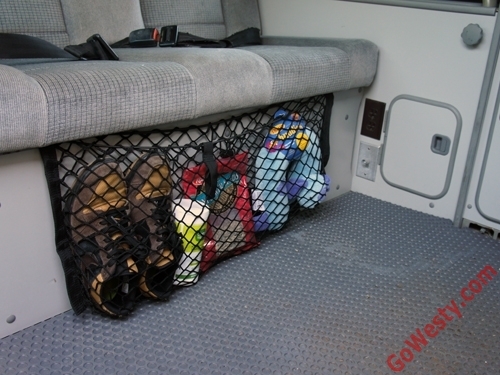 Add some quick and convenient storage to your camper with this cargo net organizer. 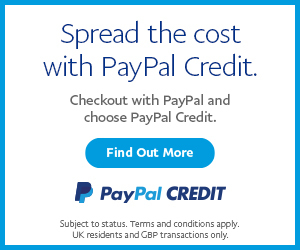 Great for shoes, books, toys, snacks, you name it! 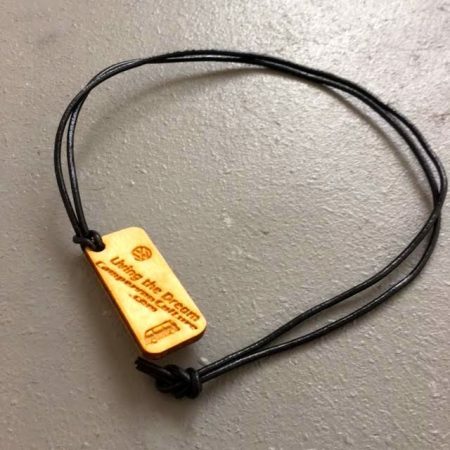 SKU: CVC- HR-5520. 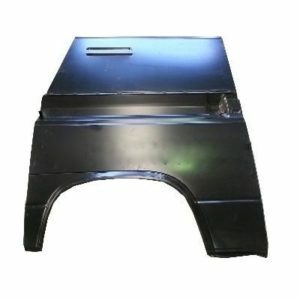 Categories: Gowesty, Latest Products, Westfalia Interior Parts. 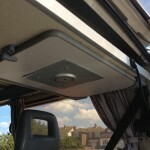 No additional mounting hardware is supplied with this product. 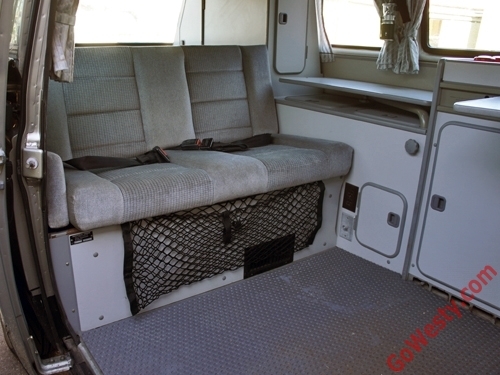 Late-model Vanagon campers feature slots on the inside upper lip of the bench seat kick panel. 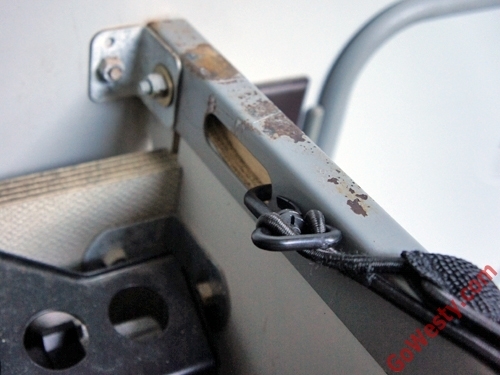 The swivel hooks on the cargo net fit perfectly into these slots for a quick installation. 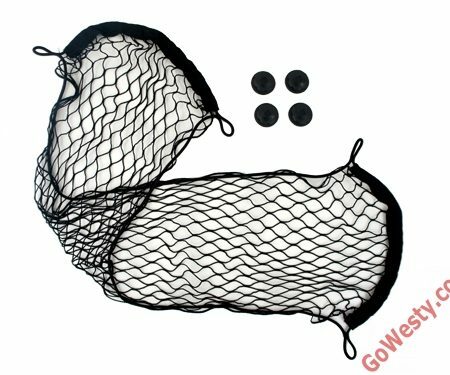 If your vehicle does not have these slots, you might consider purchasing a pair of plastic seat belt hooks, which make perfect mounting points for this cargo net once screwed in place. Get creative! 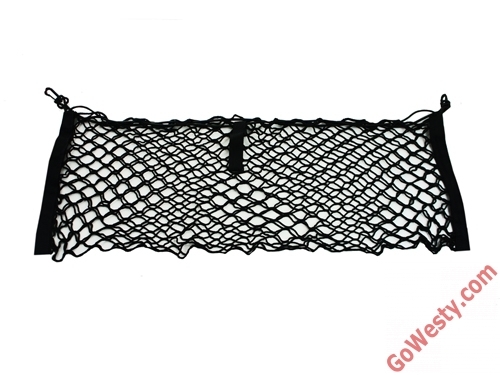 This cargo net can be installed in numerous locations and in a variety of ways.